Barribond can also be used as a termination mastic over CCW Self-Adhered Sheet Flashing Membranes. BarriBond is a single-component, moisture-cured adhesive/sealant which is applied from a sausage caulking gun, then smoothed in place with a trowel or squeegee. Lapolla is the first spray foam manufacturer to introduce the next generation blowing agent into their closed cell spray foam. 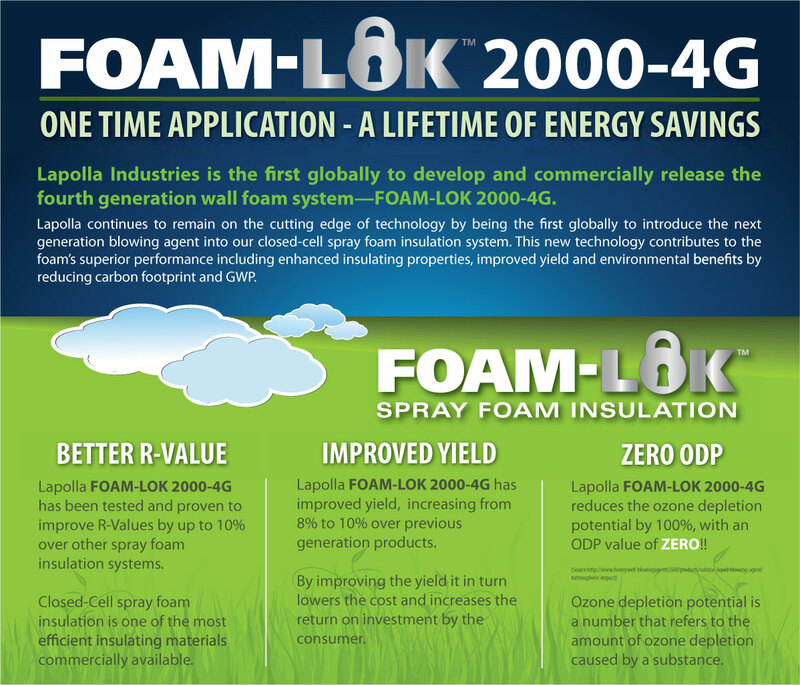 Lapolla continues to remain on the cutting edge of technology by being the first globally to introduce the next generation blowing agent into our closed-cell spray foam insulation system. This new technology contributes to the foam’s superior performance including enhanced insulating properties, improved yield and environmental benefits by reducing carbon footprint and GWP.